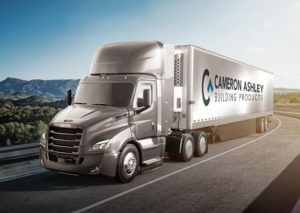 GREER, S.C. — Cameron Ashley Building Products, Inc., a portfolio company of Los Angeles-based private investment firm Pacific Avenue Capital Partners, LLC, has acquired the assets of Warrior Building Products, a St. Louis-based distributor of roofing, fasteners, siding, insulation and decking. The acquisition is the latest move under Pacific Avenue’s ownership, following the company’s recent name change from Guardian Building Products. Under Pacific Avenue’s ownership, Cameron Ashley has grown its network to over 5,000 customers across 30 plus strategically-located stocking distribution centers with a total storage footprint of over 4.2 million square feet, the company says. The warehouse footprint is supported by a fleet of over 125 tractors and 200 trailers that make in excess of 240,000 deliveries every year.